We like to see children well presented and smart and ready for learning. 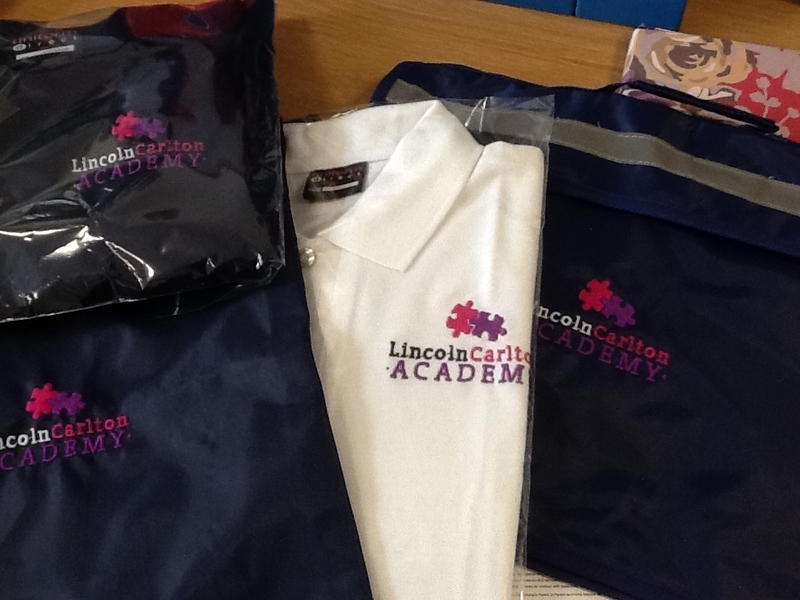 Carlton Academy sweatshirts, or polo shirts, along with other items, may ordered from different supplier at a reasonable cost and can be worn with navy or grey skirts or trousers. Jeans, hoodies, shoes or sandals with high heels, and boots are not suitable for school. Children will also require clothing for P.E in Reception and Key Stage One: T-shirts and shorts and plimsolls, and in winter, jogging suits or tracksuits, in a bag, all clearly named. We ask that name labels are in all school clothing to ensure clothing is returned to your child. Stikins are a great way to ensure the name label stays put - and the school receives commission too.